Maddie's collection of Inspirational Wall Art has reminded me to nag Captain Awesome to put my art rails back up in the hallway. 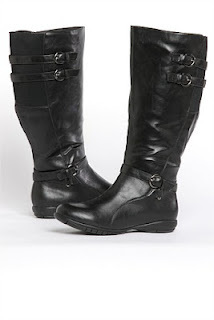 My new plus size boots from Ezibuy I am in love with them. It has taken me YEARS to get the confidence up to try boots, I have big calves and little feet so it's a hard mix. But these are magic and I can see me wearing them for many moons! Ooh, those boots look nice!